Happy 2016 everyone! A new year means a fresh start! One of my new year's resolutions is to de-clutter my home and get really organized. As I went on a rampage tearing apart the house like a savage (my husband stays far away when I get into these moods), I realized that I needed a serious game plan. I felt lost and overwhelmed. During our renovations, my world fell apart (okay, I'm being slightly dramatic) and I lost control over my house. Now that we are near the end of our renovations, things are slowly beginning to go back to normal. My daughter is a craft freak (the apple clearly doesn't fall far from the tree) and it was really hard to keep up with her crafting needs during renovations. 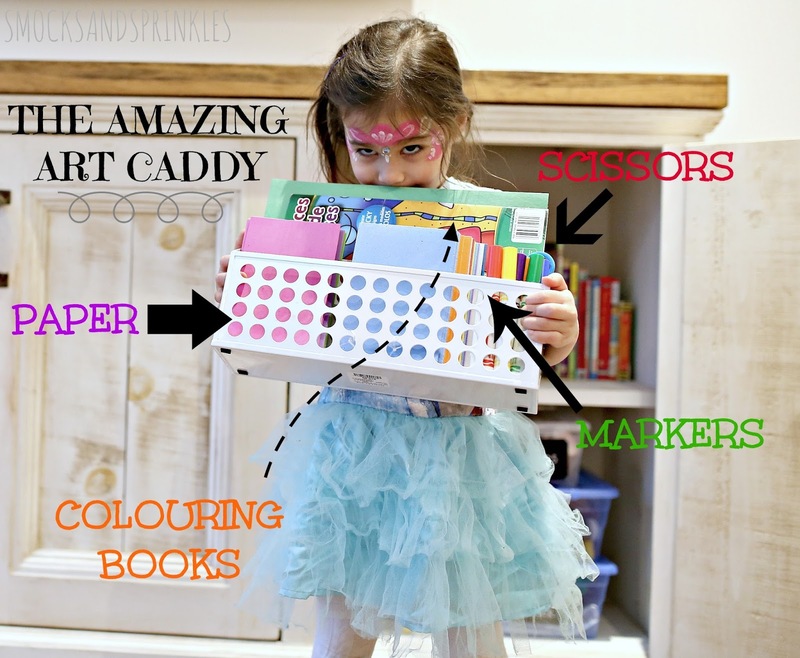 I like to craft with her on the main floor of our house and I found it difficult to keep the space from being invaded by kids craft supplies (one word...glitter *shudder*) and toys. It's a good day when I can still see slivers of my kitchen table peeking out from under a mound of papers, markers and other random stuff. 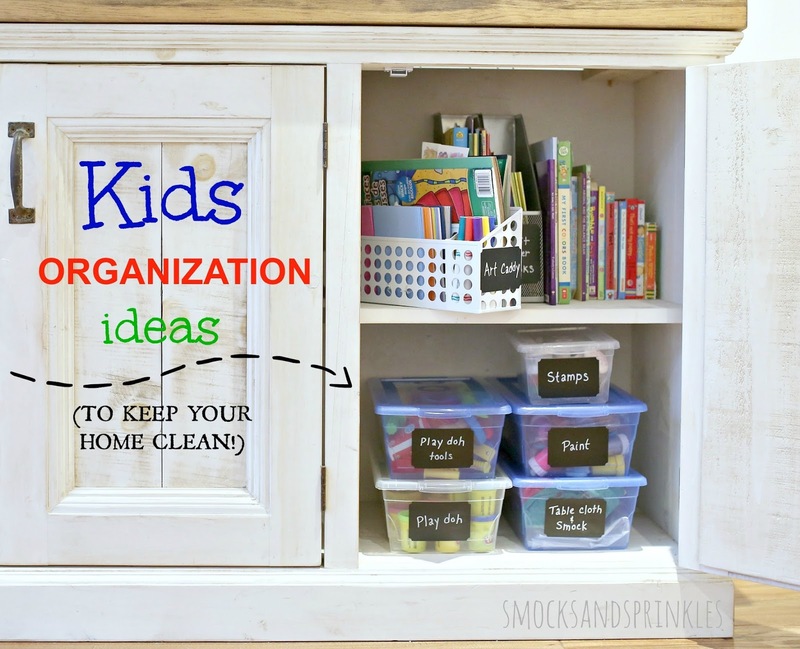 We spend most of our time in the family room/kitchen so I decided to clear out 2 cabinets in our family room and fill it with all of the kids art supplies/toys/books. This way they are hidden out of sight but still readily accessible. 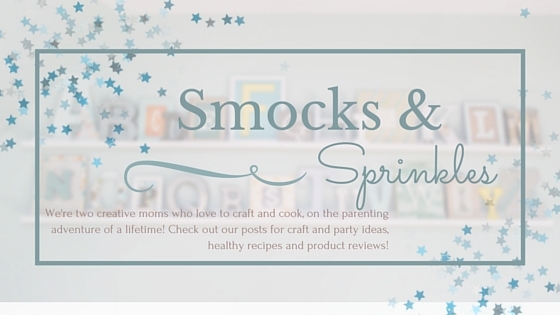 Don't forget about a plastic table cloth & smock! Step 1) Purge. Go through everything and get rid of anything that is junk or not being used. 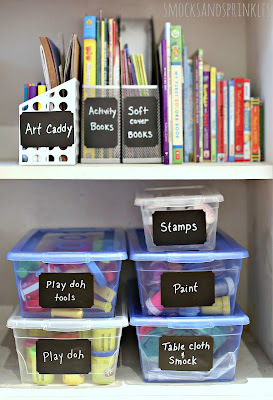 Step 2) Decide what activities/toys/books you would like to keep in the main area of your house (i.e. in your family room/kitchen). I relocated everything else to their bedrooms/playroom. Step 3) Clear out a couple cabinets, drawers or shelves. 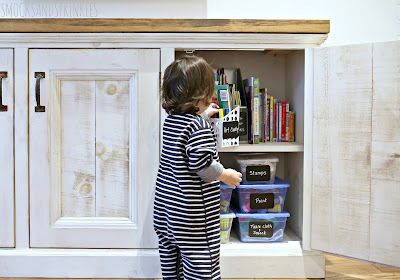 Try to pick a lower cabinet/drawer/shelf so your child can access it independently. Step 4) Organize activities in containers and add labels. Clear plastic shoe boxes (I found them at Dollarama) are amazing for organizing pretty much anything. Love that they are clear so you can see the exact contents of each box. This helps your child know which activity to reach for if they are not able to read the label. 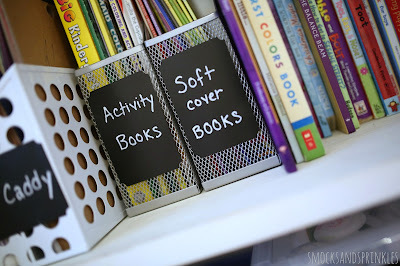 I used magazine holders for activity & colouring books/soft cover books. I highly recommend purchasing an art caddy (I found a metal desk organizer at Home Sense for $10) to organize basic everyday art supplies (markers, scissors, paper etc.). The face paint is from a birthday party she attended, not sure what the expression she is making is all about. 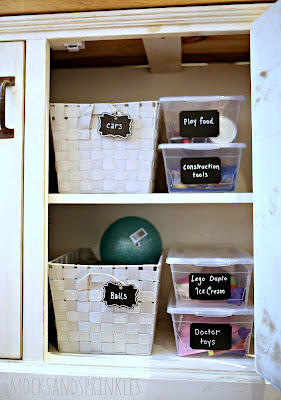 Baskets/bins are great for storing larger toy items like balls. Step 4) Step back and admire your hard work (oh and give your self a well deserved pat on the back). 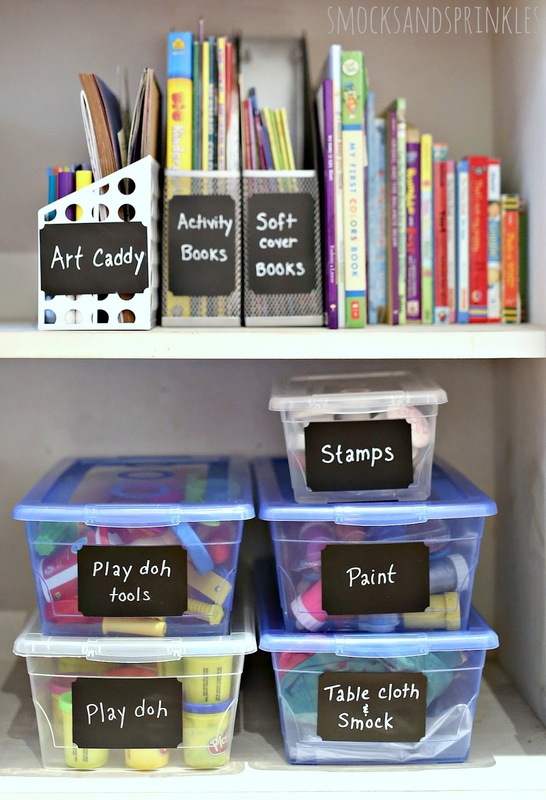 Step 5) Stay organized by implementing the "one activity at a time" rule. Get your child in the habit of cleaning up and putting back the activity before grabbing for another one. My littlest one is terrible at following rules, I was terrified he was going to destroy my organizational masterpiece, but he didn't, hooray!